Seamheads.Com: What was your first job in baseball? 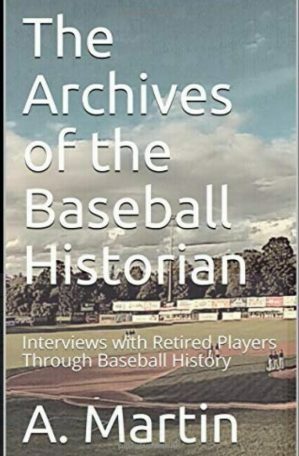 Kurt Landes: My first job in baseball was as n intern for the Toledo Mud Hens.Â An administrator my college (Bowling Green State University) referred me to the Mud Hens. A fellow student had just interned there recently and had been hired full time. That first internship started my initial network of colleagues and my understanding of the industry. Seamheads: What are your responsibilities for the IronPigs? Kurt: My responsibilities as GM are to oversee the entire business operations of the franchise and facility, Coca-Cola Park. I also guide and balance the clubâ€™s relationships between the fans, clients, league, Minor League Baseball, our Phillies affiliation, full and part-time employees and ownership. It is my responsibility to make certain the team and facility operates in a first-class manner in a first-class facility that the community and ownership are proud of. Seamheads: What team did you follow as a youngster? Who was your favorite player? Landes: My favorite team was the Cleveland Indians. My favorite player was Andre Thornton. Seamheads: When did you get interested in baseball? Landes: I had an interest in all sports growing up but became involved in Minor League baseball because the Toledo Mud Hens were near my college. Seamheads: Where were you born and raised? Landes: I was born and raised in Wooster, Ohio and attended Northwestern High School. Seamheads: Did you play sports in High School? Landes: Yes, I participated in football, basketball, track and baseball in High School. I did not play in college. Seamheads: What college did you attend? What was your major? 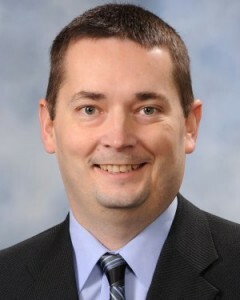 Landes: I went to Bowling Green State University in Bowling Green, Ohio. My major was sport management. Seamheads: You were named the International Leagueâ€™s 2010 Executive of the year for the second consecutive year. How did you feel about this? Landes: It was a tremendous honor, but a team honor accepted on behalf of our entire front office staff. I am always very appreciative of our ownership and management team that allows our staff to operate in a first-class manner and provide resources many teams do not have. Seamheads: What do you love the most about your job? Landes: I love the creativity that comes with the job and that generally most every day is different. There are so many hats to wear. I also enjoy the fact that we truly create memories for our fans and that our team means so much to so many people. Seamheads: What is the most difficult part of your job? Landes: There are so many relationships and personalities to manage that is also part of the reason I enjoy my job too. Managing relationships between our fans, clients, employees, ownership, affiliate and even league or Minor League staff can be difficult if one group prioritizes different that the other.Â With a full-time staff of forty, you want to be able to provide leadership while allowing each member to have their own responsibilities and sense of ownership with their job while working well with others and their own responsibilities. 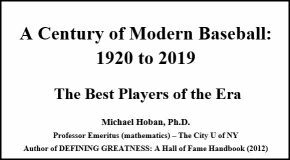 Seamheads: Who was your mentor in baseball? Landes: There have been many along the way. I appreciate th4 initial mentoring of Neil Neukam and Scott Jeffer in Toledo, my co-workers in Akron where we established a new franchise together. Mentors such as Rich Neumannâ€™s steady guidance with Mandaly. I had help and advice from many GMâ€™s and colleagues such as Geoff Brown, Bill Papierniak, Will Smith and others. Seamheads: Which GM in baseball do you admire the most? Landes: I do not think there is only one person. I have stolen ideas from so many GMâ€™s and other team operators. There are many great GMâ€™s in the International League and elsewhere and I admire them as operators, classy individuals and professionals. Seamheads: What is the most outstanding memory you have working for the IronPigs? Landes: There have been so many in our first few years of operation â€“ from announcing the team name, ballpark name, mascots, new stadium tours, All-Star Game events, etc.Â I can still vividly recall watching the first pitch at Coca-Cola Park and the amazing sense of accomplishment that came with it. Seamheads: How do you deal with some fans complaining about the poor play of the team, or some players? Landes: Generally it is just politely educating the fans about the process of how the team and players are chosen and about the Major League affiliate puts a high priority on development even more so than winning. Seamheads: What advice would you give a young person considering a career in baseball? Landes: Male or female, I would encourage them to do a number of internships to make sure they want to be involved in the game. It is a lot of hard work and hours away from family and friends; this is not a job for everyone. The relationships with fans, sponsors, staff and colleagues are what make it so enjoyable. Seamheads: What makes you successful at your job? Landes: I cannot say it is just one thing but I d not think many people outwork me. I am a workaholic. Mostly though, being successful comes down to doing the small things well and always making decisions that add to the fan experience and keeping the fans and sponsors in the forefront of what we do. When you choose to do something, I want to do it right from the beginning and in a first-class manner that I will be proud of. 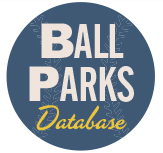 Seamheads: What are your ambitions in baseball? Landes: I simply want to continue to improve the experience at our games each year and to continue to be one of the industryâ€™s well-respected teams. I also want to continue to leverage our teamâ€™s position in the community to help others less fortunate. Landes: The economy in this area, like many other parts of the country is not like it was a few years ago. We focus on doing everything well; this is a family oriented entertainment business; we tend to keep prices low and the stadium in first class condition.Â We have a great corporate base as far as sponsorships go, enabling us to keep concession and ticket prices the same for the past four years. We are blessed to have a passionate fan base that keeps coming out to the park, the sponsors are happy and this is a good cycle that you never want to break. Seamheads: Is it true that Coca-Cola Park has the largest scoreboard in the Minors? Landes: Yes it is. When we built the stadium, we made the scoreboard the largest free standing board in the country. And yes, when we hit a homerun, the coke bottle sways back and forth; the bottle top opens and shoots fireworks from the top. This is a signature piece of the ballpark. The Coca-Cola name and brand ties in well with the Americana theme here: baseball, apple pie and Coca-Cola. Seamheads: What career were you considering while in college? Landes: Coming out of high school, I wanted to be involved in sports; it did not matter if it was football, hockey or baseball. I did an internship with the Toledo Mud Hens in 1993 and that got me involved in baseball.Â I enjoyed working there; it was about entertainment and baseball. My Major in college was Sports Management and I concentrated on that so getting into baseball was sort of by accident, and I have been here ever since. Seamheads: The steroid era is over. Should players found guilty of using steroids be in the Hall of Fame? Landes: The Hall of Fame means different things to different people. For some, it is statistics, but how do you compare eras, live ball era to juiced or deadball. For others, it is their contribution to the game: Barry Bonds, Sammy Sosa and Mark McGwire had the ability to bring fans back to the game from the dark area the game had gone through; that is their contribution.Â For me, it is a tough decision. I go back and forth from the statistical to their contribution to the game; I can see arguments on both sides. Seamheads: Could a woman ever be a General Manager in the Major Leagues? Landes: Absolutely. I do not follow the Major Leagues as far as different personnel on the upper levels are concerned. I do not think the qualities or characteristics that are necessary to be successful as a GM are exclusive to men just because they played the game. I do not think someone who has not played the game would not be able to judge talent or be successful in this position. Seamheads: What is the most unusual promotion you have seen with the IronPigs? Landes: The one that got the most unique publicity and attention was the ballpark wedding we had here at our facility. We were the first team in Allentown to do that. We had full participation with the fans and the players. The players wore Tuxedo shirt jerseys that were made to look like Tuxedo shirts.Â The ballpark was themed for a wedding that took place on the field; the stadium was decorated in a wedding theme.Â The other promotion that I did prior to coming here was a funeral giveaway I did while with the Hagerstown Suns in Maryland in 2003. A lucky fan won the free funeral but he had to die to get it. He died a year later and the family took advantage of the offer. Seamheads: What is your favorite ballpark to watch a game, not counting your own? Landes: I can think of two, being a Cleveland fan, the new Jacobs Field. Jacobs Field was on the cusp of some of the newer ballparks. Also, Camden Yards in Baltimore and Citizens Bank Park in Philadelphia. That is a beautiful park with lots of amenities and of course I know many people with the club. 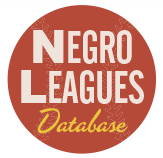 Seamheads: What is your favorite baseball movie? Seamheads: As far as films other than baseball, any favorites? Landes: I like sports movies based on true stories. Rudy Â© and Hoosiers (d) are two of my favorite sports films. Seamheads: Have you been to any World Series games? Landes: I went to the World Series in 2003 in Florida when the Marlins played the Yankees, that was my first Series. I saw all the games in the 2008 Series, Phillies versus the Yankees, which the Phillies won. We are a Phillies affiliate. Landes: Yes, I follow the Cleveland Browns in the NFL. Landes: Yes, I am married, my wifeâ€™s name is Karen and I have two children: seven-year-old Kadison and Kolby, my son who is five. Seamheads: What do you do for relaxation after work? Landes: I like movies and reading but do not have much free time. I spend most of my free time with my children. Seamheads: Do you fish, hunt or play golf? Landes: I golf and I do that poorly. You work long hours in baseball so I do not have much time to practice so it is not conducive to having a great game. Seamheads: Do the IronPigs have a mascot? Landes: Yes, we have five. Ferrous and Fefe, they were our original mascots, then we added three more in our second year, our pork racers: Hambone, Diggity and Chris P. Bacon. They are a strip of bacon a hotdog and of course, a piece of ham.Â They race each game and make other appearances. The kids love them all. Seamheads: Should MLB utilize instant replay, not counting ball and strikes? Landes: Yes, so long as they can manage the time of play. If it is helpful to make the correct call, that is OK but they should not slow down the game. In an appropriate situation, it would be useful. It could be used in the last three innings or September and October. Seamheads: What kind of music do you like? Landes: I like top forty. Seamheads: Do you have a nickname? Seamheads: What are your thoughts on aluminum bats as used in college? Landes: Wood bats are expensive and college and high school teams do not have the budget to pay for the more expensive wood bats. Of course, safety is paramount; you hate to hear about the injuries that may occur. I am in favor of wood bats but I understand about the budget restraints, I would hate to see a program end because of budget problems. Seamheads: When you and your family travel, do you have a favorite city to visit? Landes: We enjoy going to the beach and also historic cities such as Savannah, Georgia, Charleston and Boston. Seamheads: What are a few outstanding baseball memories? Landes: As a youngster, reading the paper in the morning, looking at the box scores, reading the standing and statistics. Playing catch with your dad like many kids do. Being in the business, doing things for other people, giving kids a chance to be on the field, making special moments and memories for families that they will remember and you helped create that. Seamheads: What is your favorite ballpark food? Landes: This may not be traditional but I love getting some chocolate ice-cream. Of course I also love to grab a hotdog and a bag of peanuts. Seamheads: Do you have any hobbies? Landes: I enjoy fantasy football and spending time with my kids. Seamheads: Have any of the teams you were associated with won a championship? Landes: In the eighteen years I have been in baseball, none of the teams have won a championship. When the Phillies won the World Series in 2008, I did receive a ring. I also got a National League ring in 2009 but the Phillies lost the Series to the Yankees. Seamheads: How did the IronPigs get their name? Landes: The name comes from pig iron, a by-product of the steel making process.Â The steel business drove the economy in the area for the past one hundred years.Â Bethlehem Steel made all the steel for the skyscrapers in New York and the Golden Gate Bridge in San Francisco. They employed over 40,000 workers at one time in Pittsburg so the name pays homage to the history in the area. Seamheads: You were the first General Manager in IronPigs history. Did they not have one before you arrived? Landes: The team was relocated here from Ottawa, Ontario, Canada. When we moved here to Allentown, I was their first GM. Seamheads: At the end of this season, when you look back, what do you most want to be proud of achieving? Landes: We had so much success over the past three seasons; I would like to keep that same level of success. I do not want the honeymoon to be over. I want to keep our attendance and level of entertainment up, have fans anxious to return next year. 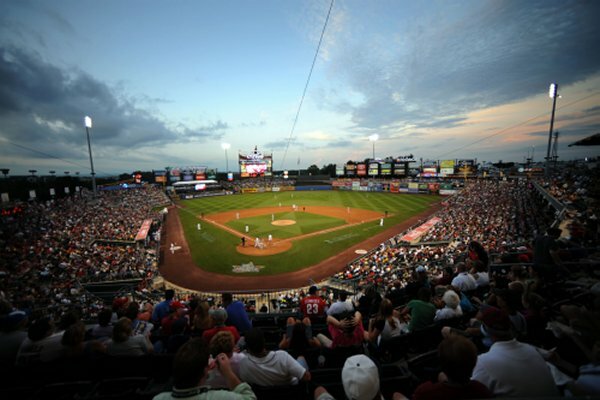 (a) Named Ballpark Digestâ€™s â€œBallpark of the Yearâ€ in 2008, Coca-Cola Park continues to be received with an unmatched level of excitement and fanfare in the Lehigh Valley and is surely one of the best new minor-league ballparks built in recent years. The park features the largest scoreboard in the minor leagues; has a Coca-Cola bottle that shoots fireworks after the National Anthem or an IronPigs home run. (b) The spirit lifting film starring Kevin Costner, the Iowa farmer who hears voices telling him to â€œbuild it and they will comeâ€. He then builds a baseball field in the middle of his cornfield. (d) Gene Hackman stars as the new basketball coach at Hickory High. He is a man with a mysterious past, his unorthodox methods rankles the locals, fellow teachers and team members. Also featured Dennis Hopper. (e) Kennesaw Mountain Landes was the first Commissioner of baseball. This article has been published with permission from Baseball Digest.